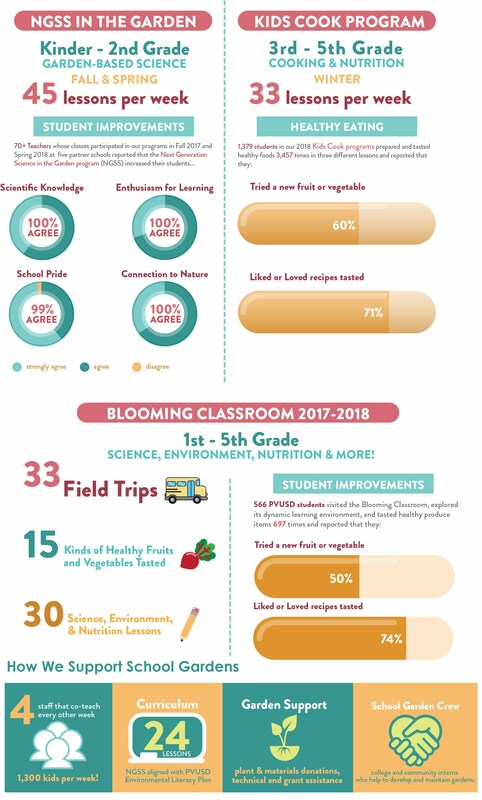 Life Lab's Watsonville School Garden Project strives to create a culture of garden-based learning in elementary schools to enhance science and nutrition education during school day instruction. Provide 3 staff that co-teach with classroom teachers at our partner schools every other week. ~1,200 students per week. Learn more about our partner school program. Create science lessons aligned with the district's Environmental Literacy Plan. Offer free teacher trainings at our Garden Classroom site and at school-based professional development days. Facilitate school garden workdays, plant donations, and provide technical support via our Watsonville School Garden Crew college intern program. Directed over $30,000 of garden materials grant support since 2015. The Watsonville School Garden Project is part of Life Lab's Pajaro Valley Initiative. 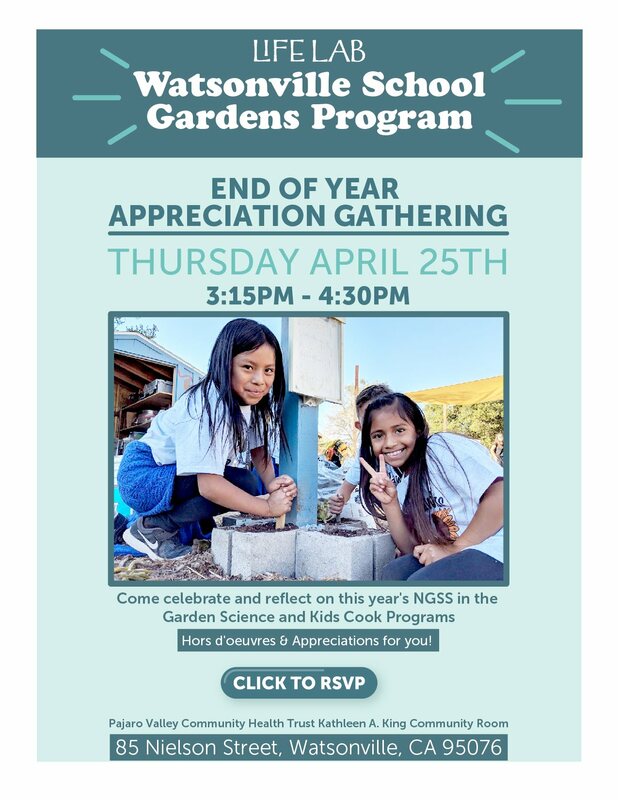 Watsonville School Garden Needs Assessment Survey to join the project's e-list and share what you need to enhance garden-based learning at your school site. Creating and sustaining school gardens is not easy work. We partner with the following organizations who support garden-based learning. Major Funders: Sage Garden Project; UNFI Foundation; California Giant Berry Farms; Naturipe Berry Growers; Community Foundation Santa Cruz County; Monterey Peninsula Foundation, host of the AT&T Pebble Beach Pro-Am; Kaiser Permanente Northern California Community Benefit Program; UC Global Food Initiative; County of Santa Cruz CalFresh; Pajaro Valley Community Health Trust; and 3 wonderful anonymous donors.